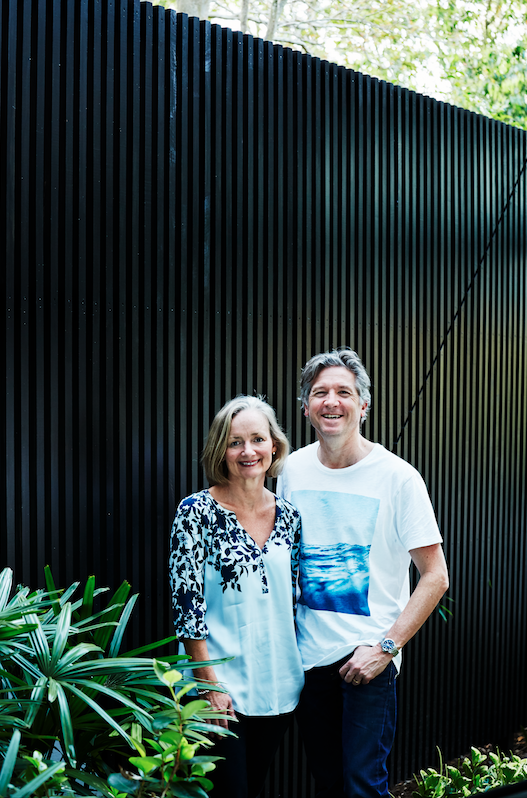 Even architects are not impervious to the changing needs of a family, as Liam Proberts of Brisbane architecture studio bureau^proberts explains to MEZZANINE. 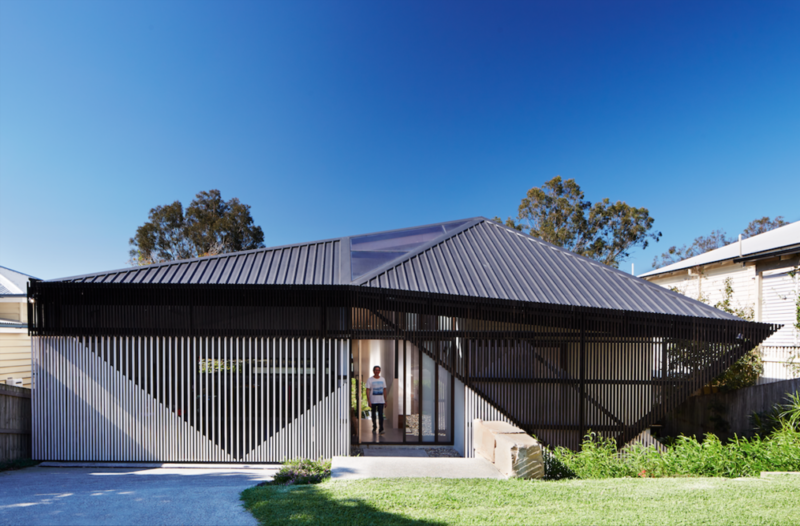 The father of three recently designed a project that hits close to home – an abode for his own family. The couple in their new home. The block of land came before the brief for us. We were really familiar with the area of Ashgrove in Brisbane, as there are a series of established ‘Queenslander’ style homes. The block slopes down towards the north with a reserve at the back, which is something that really appealed. So when it came up for sale and we got it, we started to think more strongly about the brief and what we would need. 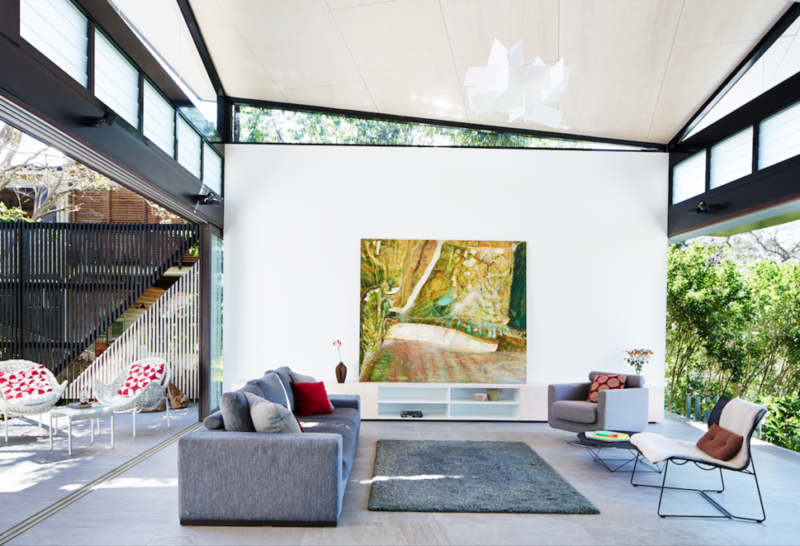 We have three children ranging from late teens to early twenties – so we wanted to create a largish family home that would be able to accommodate the whole family with friends, while allowing our kids to easily study at home. In addition, it needed to have the space for us to carry out different activities easily, from leisure and study through to the usual family requirements. 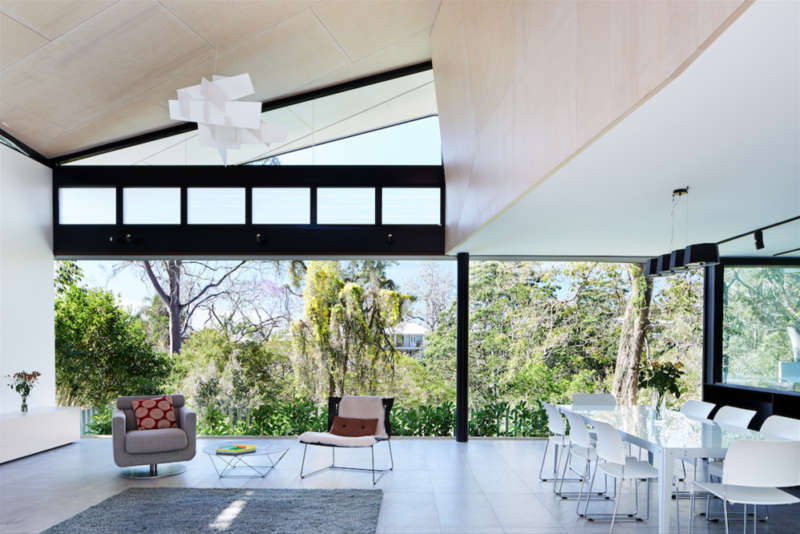 Proberts designed the living area to integrate with the landscape. There were a couple of things that drove the design – the existing homes along the street being a major one. We felt that the Queenslander language was particularly important, so we abstracted that language and contemporised it to suit our lifestyle. 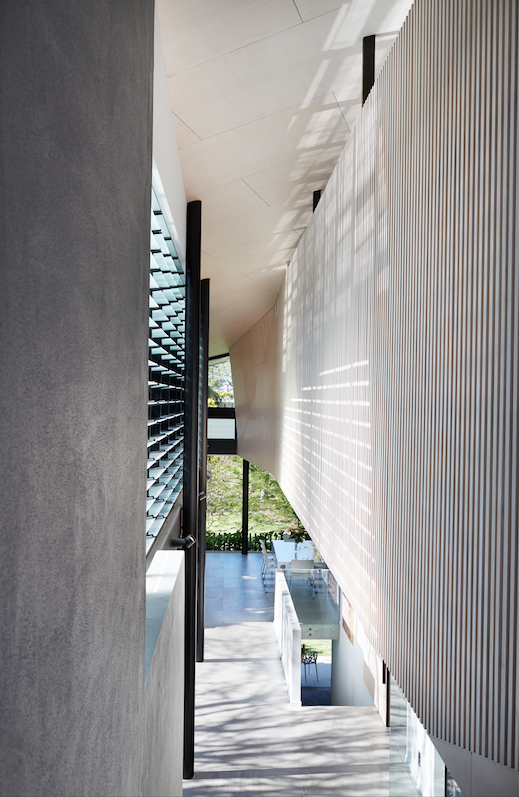 The Proberts’ home utilises various screening methods that reference Queensland vernacular. 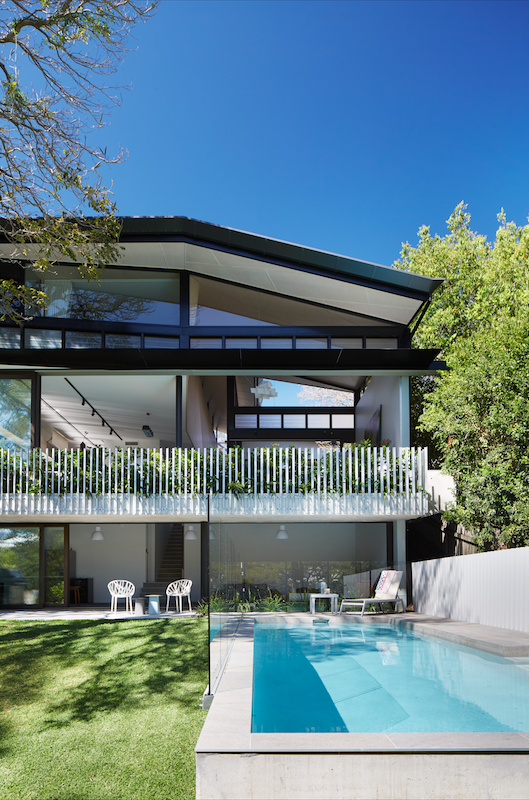 We wanted to bring in some of the qualities of the traditional Queenslander. Ventilation, screening, privacy, affordability and simplicity in the structure – these were the key elements we aspired to translate into the design. From the exterior, it was about creating a singular form out of the building. We wanted it to contribute to the streetscape and one of the qualities of the Queenslanders in Ashgrove is that they are usually a complete form when constructed. So the roof is part of the language of the house. Getting the program and the plan of the house to work with the roof form was quite a difficult exercise. An important interior feature of the design is the living space. We’ve defined it as part verandah, part promontory. We really opened up the living area to the natural landscape and trees in the reserve at the back of the site, promoting ventilation and providing a ‘green sink’ that integrates with the landscape. Building a house this big and keeping it on budget is always an issue. We had a definite strategy to use common construction methods, ones that would be builder friendly. Blockwork and plasterboard walls are the core of the house. We also used available aluminium joinery, with more heavily detailed timber joinery. One of the bigger challenges was melding these things to get the right feel and tone around the house that we felt was appropriate. Using standardised materials had a dual purpose – it was both cost-saving and also takes cues from traditional Queenslanders, which often use readily available materials. This article originally appeared in MEZZANINE #9: The Timeless Issue. Get your subscription to MEZZANINE here – or digitally through Zinio. 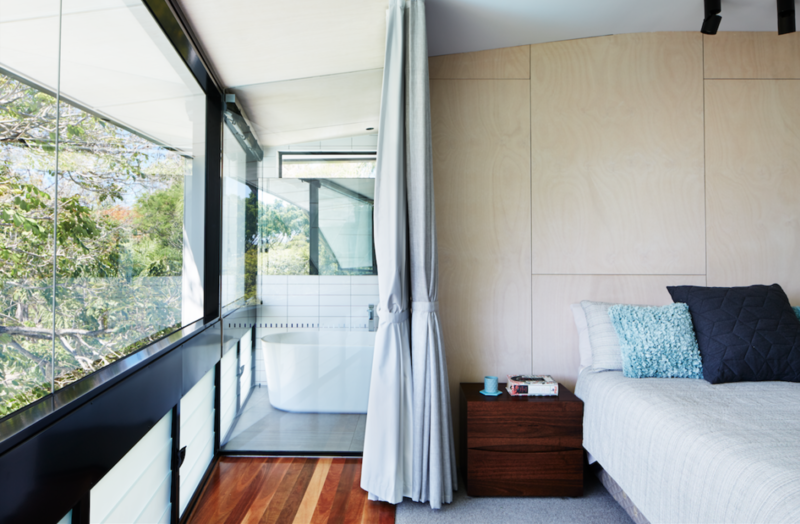 Interested in seeing the inside of other Aussie designers’ homes? 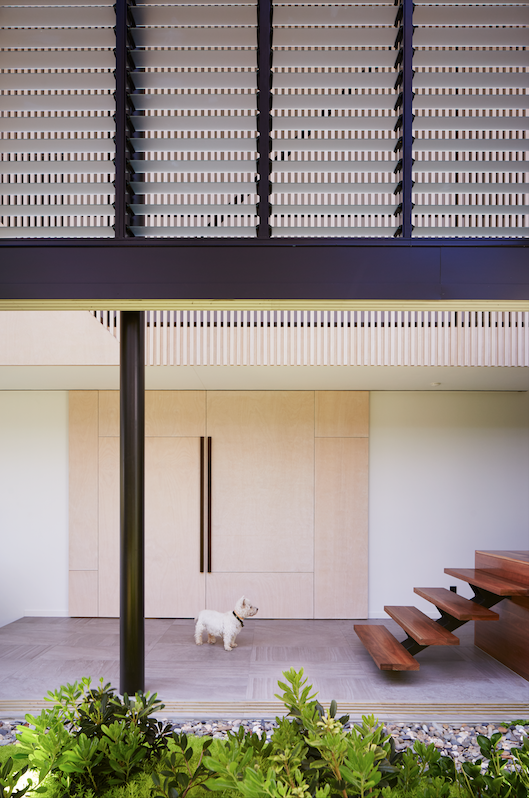 Check out Mim Fanning’s home, which she also designed herself.